One more Asian-themed album, but this time it's not metal. Uran Bator is a new side project of IVAN[Ъ]MAN (also known for Стройбат), influenced by both industrial/EBM and Mongolian/Tuvan/Folk music. If I'm not mistaken, all the lyrics on "Butsalgah" are in Tuvan, and they tell a story set in the alternative universe where the ancient Mongol Empire is armed by nuclear weapons. 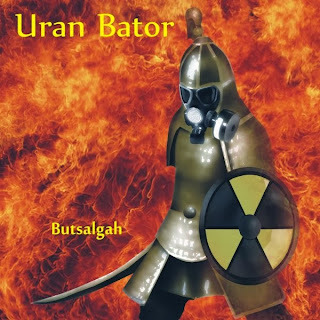 The idea is very interesting, but "Butsalgah" isn't without its flaws: the cover art looks cheap, and I didn't particularly like the "industrial" component of Uran Bator's music. However, I still think it's one of the most original and innovative releases of 2013.